We are the Council of Twelve. We are here to say hello to you and to greet you with smiles and happiness on this beautiful, spring-like day. Isn’t it a good time to be alive? We hope that you appreciate and enjoy your life. We hear you asking about your purpose, wondering about the meaning of life, why are you here, what is it for? It’s for the fun of it. Hello, lightworkers and all beings of light and good will. Today is another marker in the path to ascension. There is much transpiring on the inner planes in support of efforts to change your world for the better. You have initiated the changes. Be clear about that. The planet is moving forward owing to the fullness of the aura we see around it. This is a direct consequence of the increase in loving thoughts that have been produced by humanity as a whole. We are here in support of the changes that humanity has chosen as a collective. We do not interfere or direct movement on our own. We respond to the will of the whole. Majority rules, as it were. We are your servants, not the other way around. 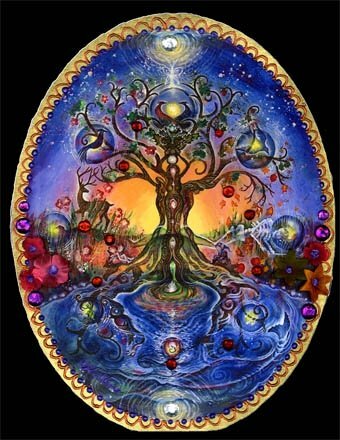 We have many, many tasks to perform, and there are many worlds to oversee, but it is the demand placed upon us by you and Gaia that commands our attention currently.Please realize that it is your own desire and intention that attracts the notice of beings from many realms. We penetrate your world. We are beside you as you work. We look over you from a distance. We are within the very fabric of your daily existence. We are masters of disguise! You have magnetized us to you. We are here in loving service to assist you in your masterful choices. We are here to assist you in your less masterful choices. Your intentions are so powerful. If you could see the rockets of thought that shoot out of your crown chakras, you would be amazed at the light show that every one of you produces on a daily basis. If you could see the physical manifestation of your thought, you would control your thought process much more easily. A cloud of dust is not the same as a sparkler. Negativity is not the same as love. Believe us, if you could see what we see, you’d be the master of your minds in an instant. Why don’t you pretend that you can see your thoughts? Try that as an exercise. See where it gets you. Visualize your crown chakra and the area above it as you think your thoughts. Are you spewing like an old car or sending sparks of light? It won’t take long for you to take total responsibility for what you produce. And responsibility is the key. We’re not coming to save you. We’re here to help you save yourselves. And by save we mean awaken. It’s as if the alarm clock has rung, you’re sitting up in bed, but haven’t quite come to yet. Can we offer you a bathrobe, a cup of coffee? What do you need to rise and be fully awake? You know better than we do. Just ask us. We’re the world’s greatest valets! At your service, Madames et Messieurs. We respect you. We love you. We look at you in awe. Take this day and make it your own. You’re in charge. We’re here to help. Your loving servants, the Council of Twelve.